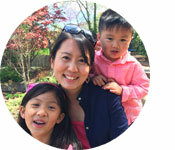 Guest blogger Carol Shen, is a stay at home mom of two, creator of the blog, Blueberry Mom and serves on the Board of Directors of The Reading Connection. She'll be sharing her kids' learning adventures on Start with a Book inspired topics like gardening, the night sky, If I were President, and other ideas she and her kids are excited to explore. “A tomato warning?” I repeated, confused. You can imagine my amusement as I cherished this very humorous moment with my daughter. That explained why she didn’t seem scared at all during the “tomato warning”, incoming tomatoes probably don’t appear to be nearly as frightful as the possibility of a tornado striking our home. 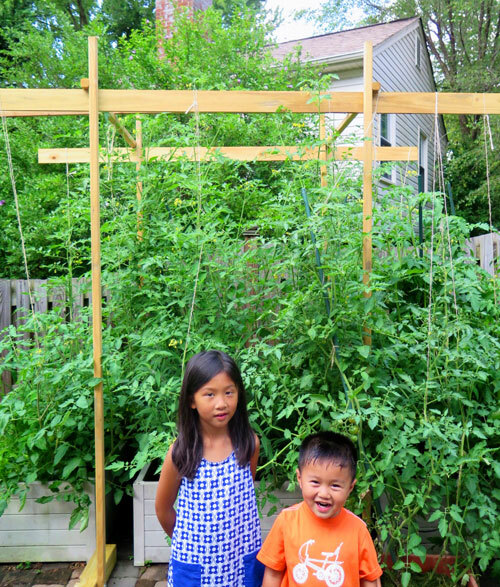 Speaking of incoming tomatoes, we now have a tomato jungle in our backyard. 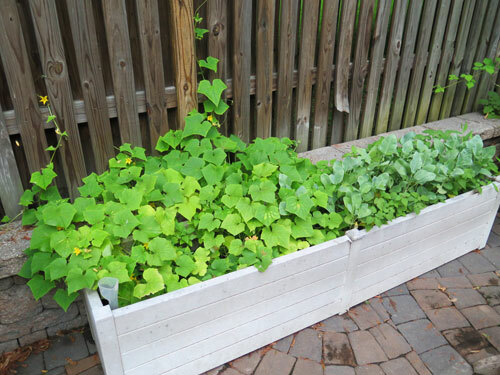 It all started back in spring, when Addie decided that she wanted to grow her own vegetable garden. So we went to the local nursery, and picked up a bunch of seeds: carrots, cauliflower, cucumbers, and tomatoes. 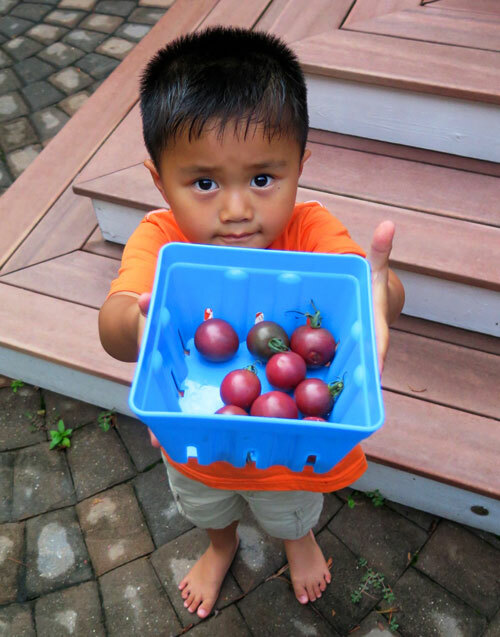 My husband, Frank, was excited to help Addie start a vegetable garden, so he bought all sorts of tomato seeds: cherry tomatoes, heirloom tomatoes, roma tomatoes, and the list goes on. When he’s committed to something, he’s all in. 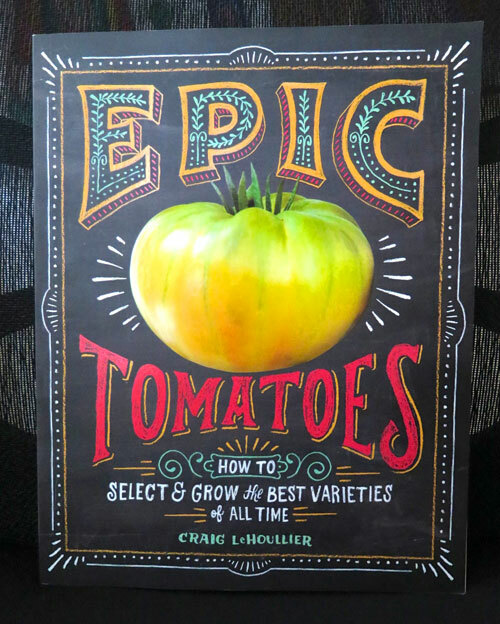 To make sure he knew what he was doing, he purchased a book that helped us embark on our gardening adventures titled Epic Tomatoes: How to Select & Grow the Best Varieties of All Time by Craig LeHoullier. When we purchased our home two years ago, we were fortunate to inherit a yard that came with a bunch of planters. So we put them to good use, and planted all the seeds back in May. Of course, when we first planted the seeds, Addie kept asking every day, “When will my plants start growing? When can I pull out my carrots? 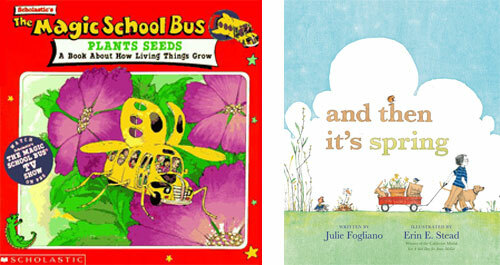 When will the tomatoes appear?” That’s when I remembered a book I had bought for the kids, And Then It's Spring, written by Julie Fogliano, illustrated by Erin E. Stead. This is the same author as the one who wrote If You Want to See a Whale that I referenced in my blog posting on our Cape Cod travels. What I love about this author is that her stories are written in the form of poetry. She tells stories through beautiful phrasing, and in this case, tells the story of spring — where a boy learns that a lot of time passes by between when you put a seed in the ground where all you see is brown (dirt), and when green (plants) finally appears. This was a wonderful book to illustrate to Addie in a tangible way the idea of waiting, and being patient when it comes to gardening. After reading this book together, she only asked me her questions about three times a week instead of every day. I also thought it’d be fun for Addie to learn how plants actually grow, so I browsed through Start with a Book’s Our Green World section, printed out the Gardening adventure pack, and headed to the library. When we got there, we asked the librarian to help us choose from the list of nonfiction books a book that would be a good one for Addie. She recommended The Magic School Bus Plants Seeds. This book gave Addie an appreciation of what is actually happening each day in her planters, and how plants reproduce. Back in June, the “green” finally started appearing to Addie’s delight. 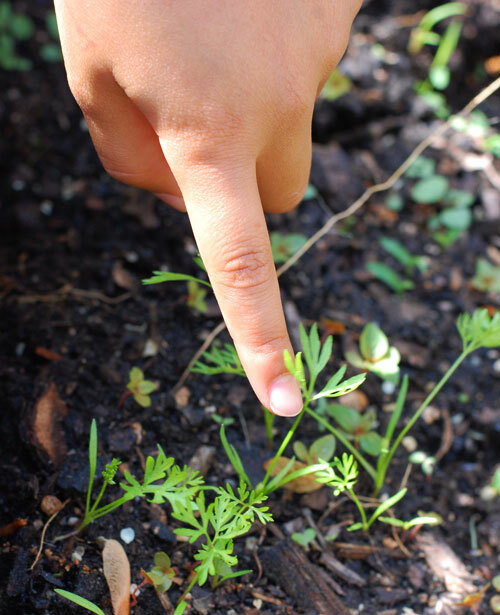 Here you can see some emerging carrot tops. 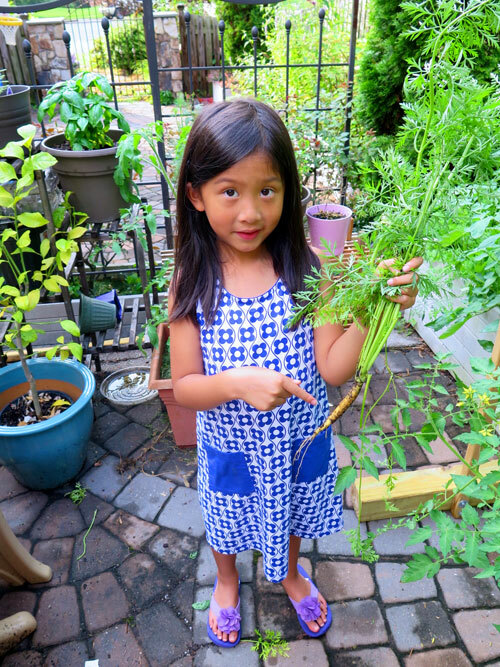 And now, as of last week, Addie’s vegetable garden is thriving. Here you see Addie holding up a carrot (we bought a pack of multi-colored carrot seeds so the one we pulled out was a white one). What surprised us is that although the tops of the carrots are super long, the carrots themselves still aren’t ready, so more patience is needed. 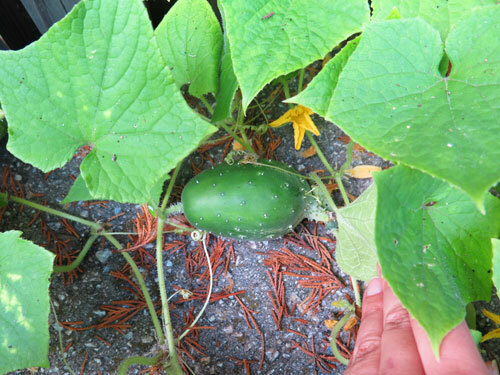 The cucumbers are doing well. We’ve got a lot of yellow flower blossoms, which is a good sign. It turns out when the cucumbers first grow out they’re a bit prickly. The plants to the right of the cucumbers are our cauliflowers — they still have a ways to go. We also realized it might be a bit crowded in the planter, so we’re not sure how they’re going to turn out. That’s okay though, every growing season is a learning opportunity. Books can be a wonderful way to help explain something that feels abstract. In our case, it was illustrating the concept of patience to Addie, learning that going from “brown to green” takes time. Whether it’s getting ready for a new sibling, preparing for school in the fall, or dealing with many other topics, check out the Themed Booklists on Reading Rockets to help you select books that your kids will find relevant and helpful. If you’re not sure what book to choose for your children, don’t forget — the librarian at your local library is a great resource! Check out Start with a Book’s resources on choosing Great Kids’ Books for additional tips. While I’ve generally been blogging about starting my kids’ summer explorations with a book — don’t forget about starting your own adventures. 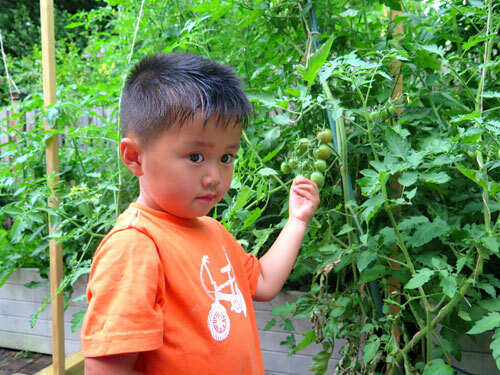 In my husband’s case, it’s been an ongoing tomato exploration in our very own backyard. Pick up a book this summer, and let it take you on your own adventure!